The plan was simple: To break into the Danger Tower and steal the world's largest diamond. But after disabling the main alarm system, finding your way to the basement and grabbing the treasure, you tripped over a secondary alarm and a horde of holobots were activated. 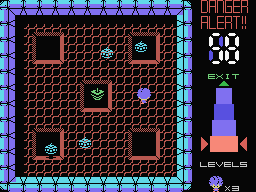 A single electrified touch of these holobots can kill you, so you have to evade them long enough for the floor timer to count down to zero and see the stairway to the next floor appear. 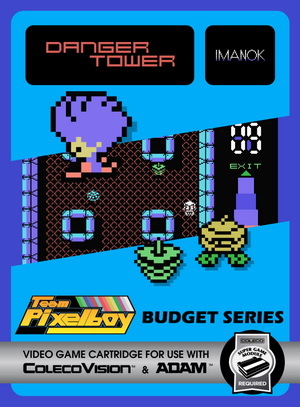 You must survive through all 15 floors in order to reach the top of the tower and escape!